It is with great sadness that we announce the passing of a beloved mother, grandmother, and sister. 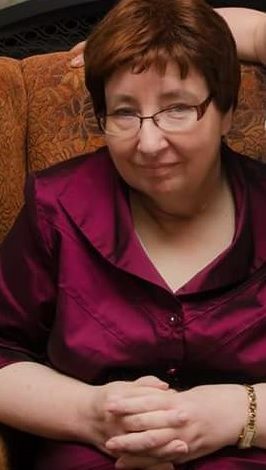 Sharon Bonia (nee Boland), was born on Bell Island, December 31, 1960, and passed away on Friday, June 15, 2018 at St. Patrick’s Mercy Home surround by family. She is predeceased by her parents Alice and Ben Boland. Leaving to mourn her children Charlotte with her husband Colin, and John with his wife Diana. Three granddaughters, Violet, Sage, and Saffron. And sisters, Wanda (Pierre) Leclair, Belinda (Glenn) Grouchy, and Kim Boland. Also leaving to mourn a wide circle of nieces, nephews, cousins and friends. We would like to extend a special thanks to the staff at St. Patrick’s Mercy home for their care and compassion over the past number of years. Cremation has already taken place. Visitation will be at Carnell’s Funeral home, 329 Freshwater Road, Tuesday, June 19th 2-4pm and 7-9pm. Visitation will also take place at St. Patrick’s Mercy Home Chapel, Wednesday, June 20th 11:30 am, with service to follow at 1:00pm. Interment to follow at Holy Rosery Parish in Portugal Cove. In lieu of flower, a donation can be made to the St. Patrick’s Mercy Home Foundation. SO SORRY FOR YOUR LOSS, MY CONDOLENCES TO THE FAMILY. So sorry to hear of Sharon’s passing. We worked together for many years at Anthony Insurance and we shared some great memories. Thinking of you and your families during this difficult time. Brian and I would like to extend our deepest condolences during this sad time. We are thinking of you and your families. To Sharon’s Family and Friends, especially our dear Wanda, we extend our heartfelt condolences at this sad time. We hope that the sincere sympathy of your beloved family and friends will comfort you in the difficult days to come. My heart is breaking, so I can only imagine how difficult this is for you all. Sharon has always been a special cousin to me and I will miss her dearly. I will miss our chats and reminiscing. I hope you all find some comfort knowing Sharon is now in a better place and in perfect health. We are so sorry about Sharon’s passing. We came to know her well over the last year and a half and appreciated her wry sense of humour and kindness. Deepest sympathy to her family. She will be missed. So very sorry to hear of Sharon’s passing . She was a great friend and a wonderful person to have known. So sorry to hear of the loss of your sister, my thoughts and prayers are with you at this difficult time. Charlotte, so sorry to hear of your mom’s passing. My thoughts and prayers are with you and your family. Hugs. I’m so sorry to hear of your sisters passing My thoughts and prayers are with you. My Deepest Sympathy to the Bonia Family on your loss! I worked with Sharon at Walmart & found her to be a very gentle & caring Lady. I know her children were her world !! RIP Sharon! Gone too soon! Belinda, Kim , Wanda and families so sorry to hear of the loss of Sharon. May you find peace over the coming days and months knowing she is safe with your parents.